In this day and age, one would think of sexual harassment as a thing of the past. Unfortunately, almost 3 out of 10 cases before the Equal Employment Opportunity Commission (EEOC) are sexual harassment cases, and nearly 1 out of 3 women have been sexually harassed sometime in their career. We at the Civil Rights Litigation Group in Denver understand that reporting sexual harassment can be terrifying, especially with the possibility of job loss, alienation, and other consequences. At the same time, however, it is essential to contact a trusted and compassionate Denver sexual harassment attorney who can help you through this time. As a civil rights and employment discrimination attorney, we ensure absolute diligence and compassion in these cases, and we will always put your interests at the forefront of our litigation strategy. For a free consultation regarding your case, make sure to call our Denver office as soon as possible by dialing (720) 515-6165. Quid pro quo harassment — Occurs when an employer makes sexual advances in return for a job benefit. 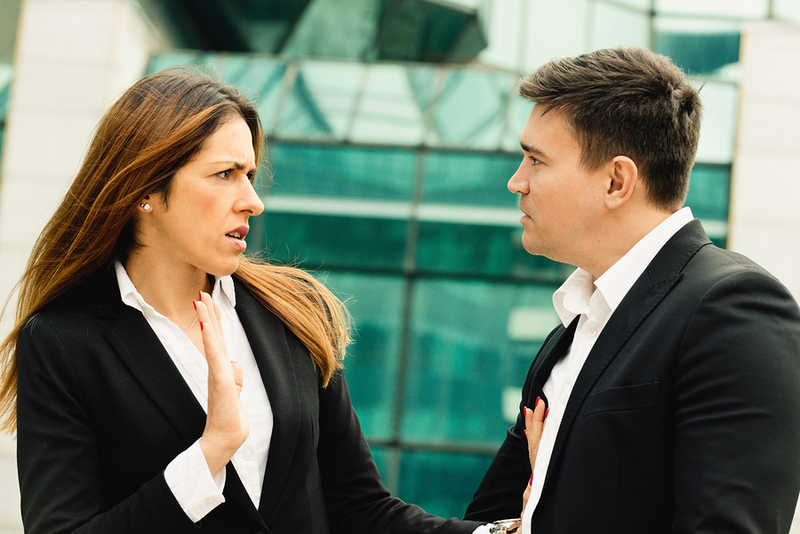 Hostile work environment harassment — Occurs when an employee’s work life is miserable due to the prevalence of sexual comments, jokes, bullying, touching, or other unwanted behaviors. Other instances of sexual harassment can include the spreading of sexual rumors, sexual stereotyping, the use of sexual propositions, and the use of derogatory terms and names. Employees in Colorado are protected from sexual harassment by both state and federal law. At the federal level, the governing law is Title VII of the Civil Rights Act of 1964, which prohibits all forms of sexual discrimination. In addition to making sexual harassment illegal, this law also prevents employers from retaliating against those who file a complaint or lawsuit. This federal law does not apply to employers with less than 15 employees. Whether pursuing a sexual harassment suit at the federal or state level, victims of this crime can recover compensation from the damages incurred, including compensatory and punitive damages in addition to back wages and reinstatement. If you’ve been the victim of sexual harassment in Colorado, you need to contact an experienced and competent civil rights attorney as soon as possible. With a wide network of resources as well as a history of successful civil rights cases, the Civil Rights Litigation Group is ready to take on your case. For a free consultation, contact our Denver office today at (720) 515-6165.